Give wedding guests something to accessorize their homes for the holidays with. 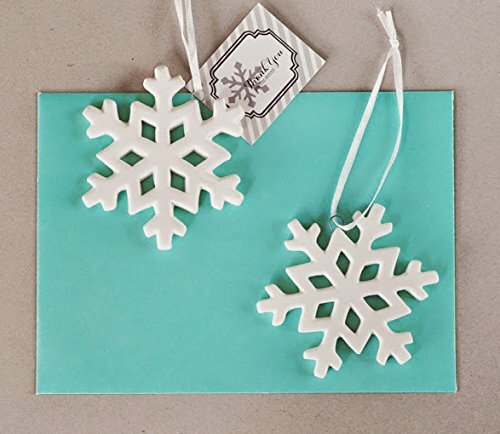 These Porcelain Snowflake Ornaments make a thoughtful thank you gift for loved ones. Whether they're displayed on a shelf or hung on a Christmas tree, these delicate, white snowflakes are sure to bring back memories of your special winter wedding.